The goal of the Libra project is to integrate the existing tooling provided by the Plug-in Development Environment project and the Web Tools Platform project to work together for implementing OSGi Enterprise scenarios. Libra can be installed by following these instructions. The OSGi Bundle facet adds the Plug-in nature to any project that takes advantage of the Faceted Project Framework. This effectively allows any project to behave as an OSGi Bundle project. 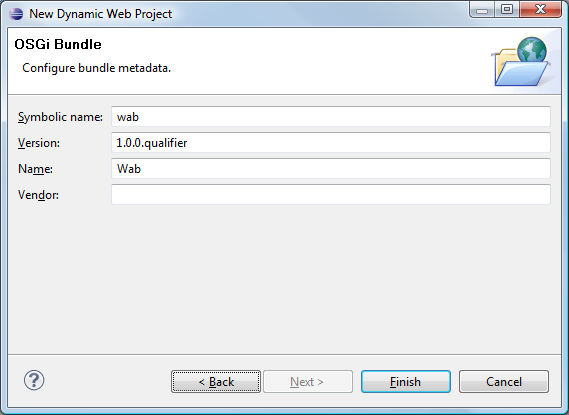 The OSGi Bundle facet integrates well with WTP's Dynamic Web Project and JPA project wizards. Combining the OSGi Bundle facet with the Dynamic Web facet and the JPA facet results in the creation of OSGi Web Application Bundles and OSGi Persistent Bundles, respectively. OSGi Java Bundle - creates a plain Java OSGi Bundle project. 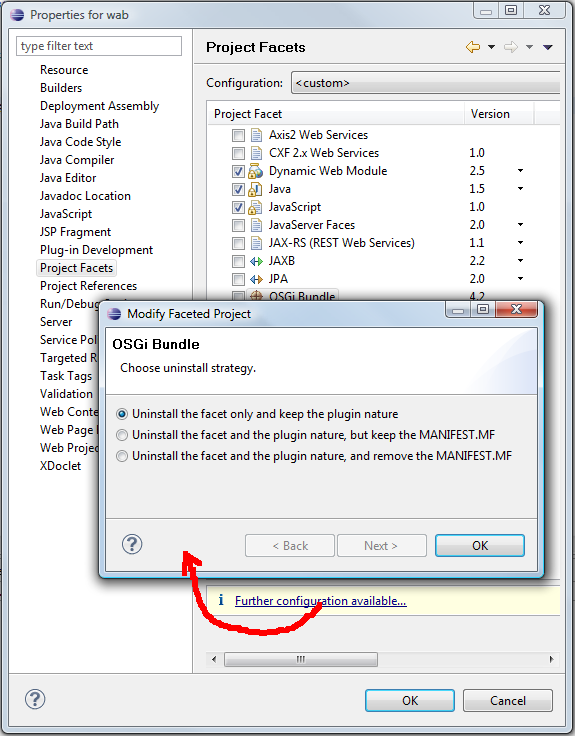 OSGi Persistent Bundle - creates a Persistent Bundle project. OSGi Web Application Bundle - creates a Web Application Bundle project. 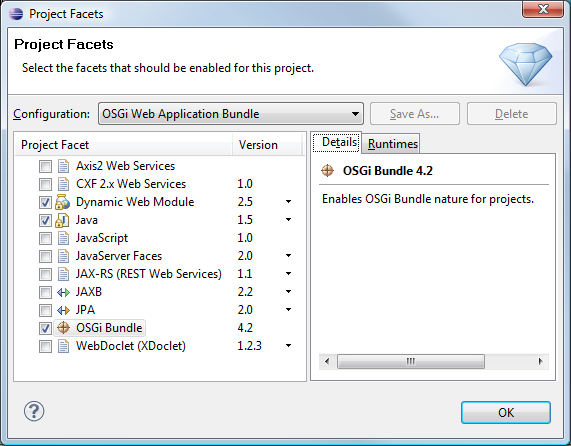 Basic OSGi Bundle manifest entries can be configured during facet installation in the WTP wizards. When uninstalling the facet from a project, an uninstall dialog is shown with options for various uninstall strategies. Existing projects can easily be converted into OSGi Bundle projects by invoking Convert -> Convert to OSGi Bundle Projects action from the context menu of the selected projects. The WAR Products are similar to Eclipse Products, but much more lightweight. They can be used to export a Server-Side Equinox Application into a .war archive. All you have to do to export a RAP application is to create a .warproduct based on a working launch configuration and press 'export'. The exported .war file is ready to deploy. There is a function included that validates your .war file content before you've exported it.